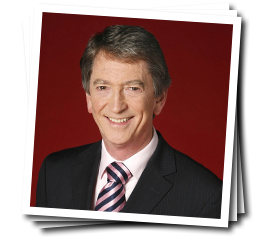 Gordon Burns is one of the best known television faces in the North West. For 15 years he presented the BBC’s evening news programme NORTH WEST TONIGHT. During his time in the chair he won 5 Royal Television Society awards for best regional presenter and the programme picked up 6 RTS awards for best regional news programme. Gordon also won the coveted BBC Ruby Award for best regional presenter in theUK. Gordon made his name nationally by hosting ITV’s popular quiz programme THE KRYPTON FACTOR which ran at peak-time for 18 years pulling in audiences of up to 18 million people. He wrote all the scripts for the programme and devised many of the tough challenges for the contestants. Gordon is married with two grown-up children, both working in television, is a keen football and cricket fan and has lived in Manchester for over 30 years.